While dotting the I's and crossing the T's on our upcoming TNG jumpsuit tutorial, I decided to go the extra (extra) mile and put together this FREE sewing video about how to make a TNG-style collar. In this video, you'll learn how easy it is to make a proper uniform collar for your costume. It includes several different methods for interfacing the collar, as well as specific interfacing recommendations! 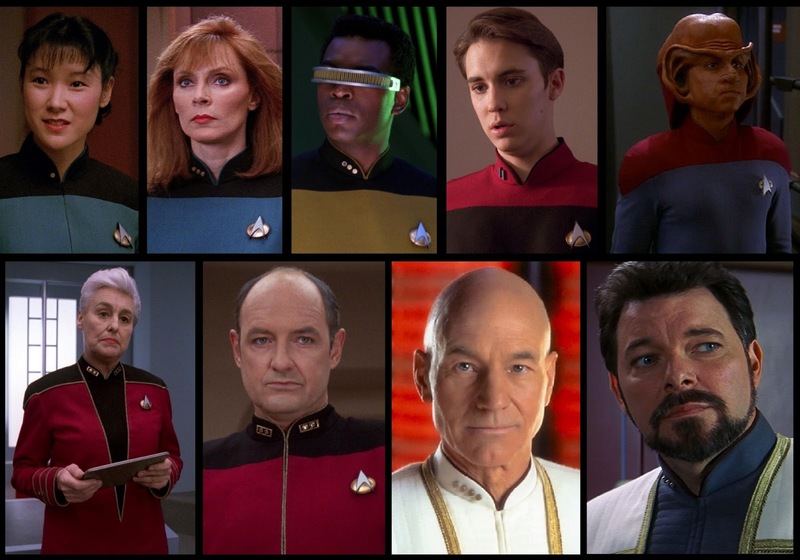 The methods covered in this video can be successfully used while making any of the Star Trek uniforms with TNG-style collars, including the various jumpsuits, jackets, and later DS9/NEM-era formal uniforms. TNG jumpsuit tutorial coming soon! In the mean time, I hope you enjoy this video! As always you folks have hit it out of the park. I had the pleasure of buying your hero first contact Trek uniform and it was a complete success. So much so when I was at ComicCon two years ago I was approached by a lovely older lady who walked through a massive group of people to see me and touch and feel my captains uniform. I turned out she was the head seamstress for the show and DS9. She was so impressed that she said it was amazing and as good if not better than her own work. I followed your instructions and it was a blast. I had a Friend who is a professional seamstress do the work for me it challenged her but she loved it and is using the experience to teach her classes. Women's TNG jumpsuits for sale! TNG jumpsuit tutorial PDF added! Women's TNG jumpsuit pattern - now shipping!